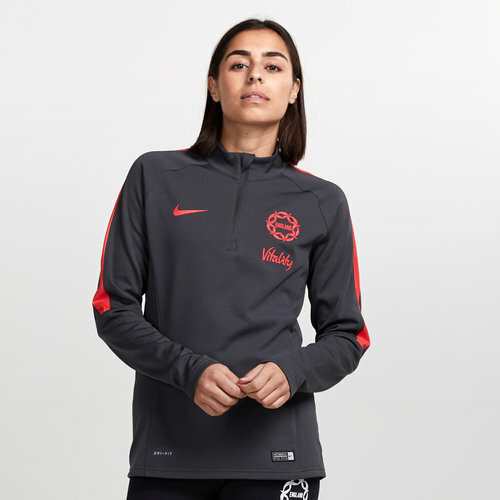 Go crazy for the Roses, look just like your heroes and stay warm in this Nike England 2019 Ladies Netball Mid Layer Training Top. This mid-layer top features a quarter zip to help the wearer adjust the fit and uses sweat-wicking fabric to help keep you dry and comfortable whether you're on or off the court. 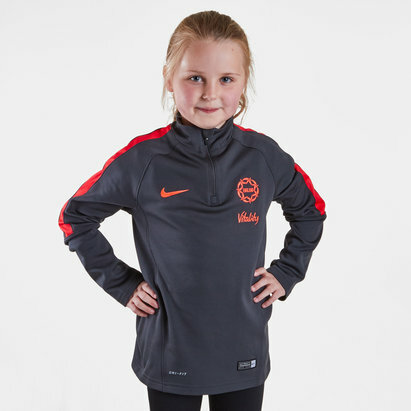 This top has the Nike logo on the right and the England Netball badge on the left. The team's sponsors are now health and life insurance and investment providers - Vitality. Vitality recently announced a three-year extension of its partnership with England Netball in one of the largest deals in women’s sport in the UK.